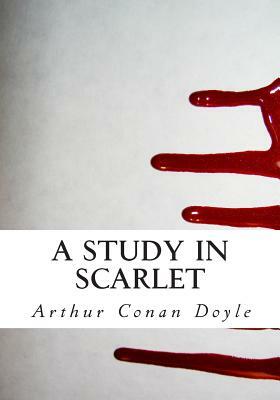 First published in 1887, "A Study in Scarlet" by Arthur Conan Doyle is a Sherlock Holmes detective mystery novel. Indeed, this is the very first appearance of Sherlock Holmes. This is the READER'S CHOICE EDITION and it has been designed for easy reading. As a special bonus, it also includes "Part II" (Country of the Saints). This is a wonderful "Holmes and Watson" adventure, suitable as a gift or for your library. The Reader's Choice Edition of A Study in Scarlet is an excellent book. We highly recommend it. Sir Arthur Ignatius Conan Doyle (22 May 1859 through 7 July 1930) was a Scottish physician and writer, most noted for his stories about the detective Sherlock Holmes, which are generally considered a major innovation in the field of crime fiction. He was a prolific writer whose other works include science fiction stories, historical novels, plays and romances, poetry, and non-fiction. A Study in Scarlet is a true classic.